Satellite remote sensing data have already proven their applicability to derive parameters relevant to natural hazards. In particular, differential interferometry (DInSAR) has demonstrated to be suitable for directly measuring geometric surface changes. 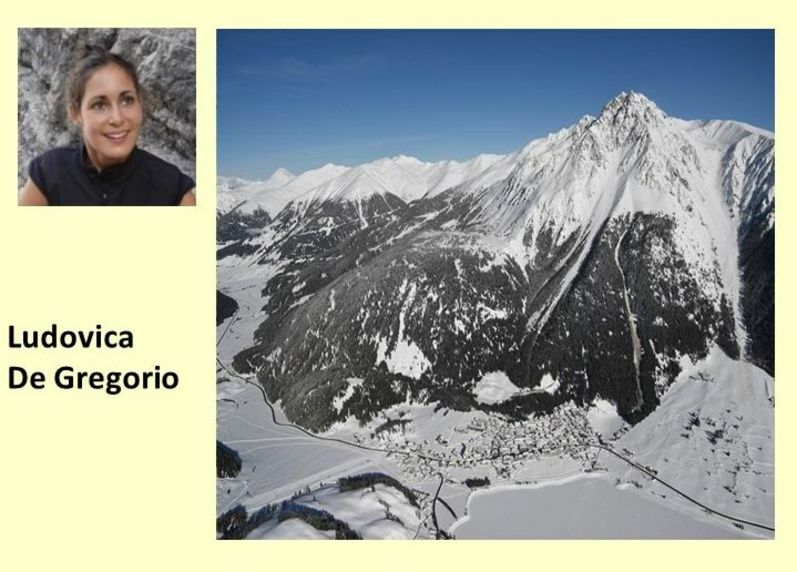 The Corvara landslide located in the Italian Alpine equipped by a GPS network, X and C-band Corner Reflectors (CR) is considered as a test site to develop InSAR-based algorithms. To this end, I attempt to improve the accuracy of CRs offset estimation on the complex and vegetated landslide and model the effect of atmospheric and ionospheric artifacts using different SAR sensors over the Alpine region. Recently, thanks to constellations of satellites orbiting around our planet, a large amount of remote-sensing images of a fixed location on the surface is available. Nowadays, both optical and Synthetic Aperture Radar (SAR) images are largely available and carry a different type of information on the target area. 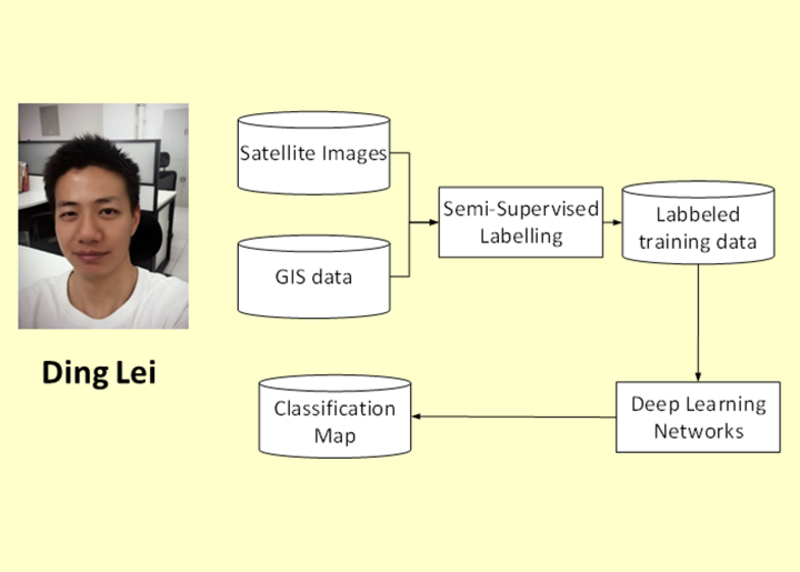 The formulation of traditional problems like the detection of changes occurred between two images can take advantage of the multi-temporal analysis of time series of images. New approaches are therefore needed to fully exploit the larger amount of information available on an area of interest. Radar Sounders are valuable instruments for subsurface investigation in both terrestrial and space applications. 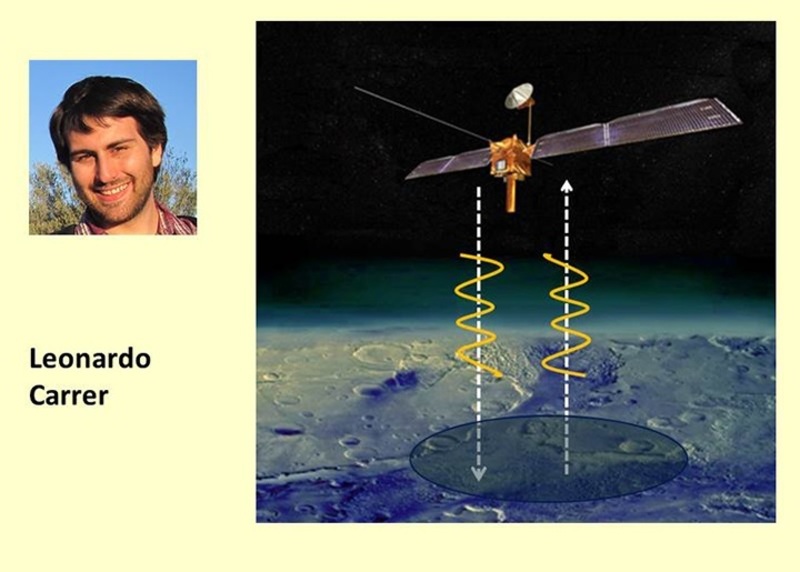 They are widely employed for monitoring changes to the polar ice sheets and for the study of planetary bodies (e.g. Mars). My research activities are related to radar sounders system engineering, performance models and advanced signal processing. Traditional means for snow mapping are based on ground stations, which provide point data and cannot provide information in remote areas. Remote sensing has been largely used as valuable alternative to conventional means for snow cover mapping and for estimating snow properties. Another common approach is employing physically-based models. 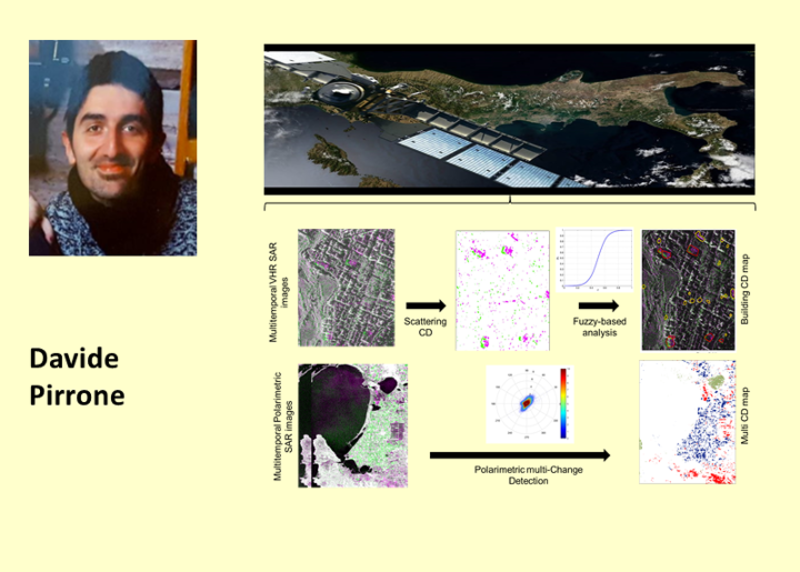 The objective of my research is to introduce a new concept of fusion by using remotely sensed data and physically-based model for improving the estimation of snow cover and SWE. The main novelty of this study is that the fusion involves the final products, differing from described approaches where remote sensing is mainly used for model tuning. Motivation Comparing to conventional approaches using hand-crafted features, DL based approaches have the potential of extracting more abstract and semantic features, while having less dependency on expert knowledges. However, the lack of large-scale training samples remains a barrier on using DL for RSI understanding. This study aims at exploring DL based approaches to improve the overall recognition accuracy and efficiency in terms of RSI classification and recognition, while incorporating multi-source data and employing semi-supervised techniques to address the problem of lacking labeled data. A radar sounder is an active sensor that transmits electromagnetic pulses at low frequency and with a broad bandwidth. The wave penetrates the surface, and a portion of its power is reflected back by each interface. Collected echoes produce radargrams, which are two-dimensional images containing the information about the subsurface. 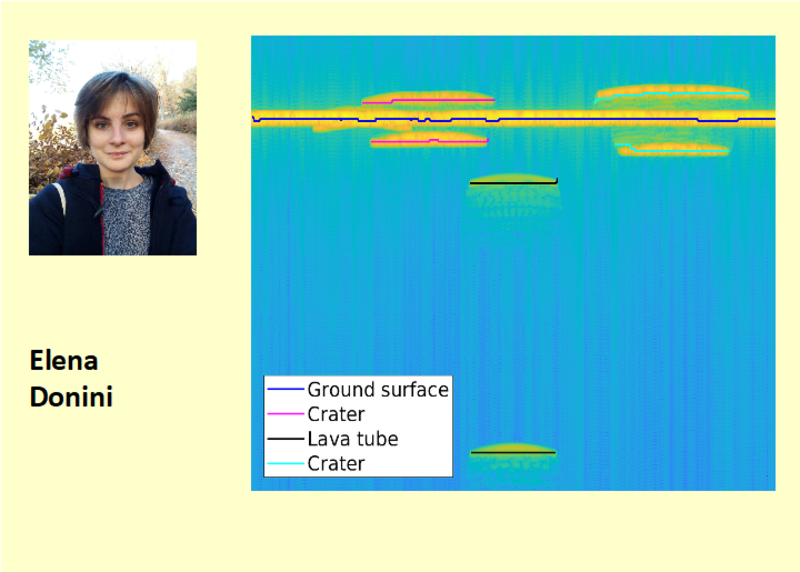 The aim of my research is to retrieve useful information about the physical and dielectric properties of buried structures by applying signal processing techniques. 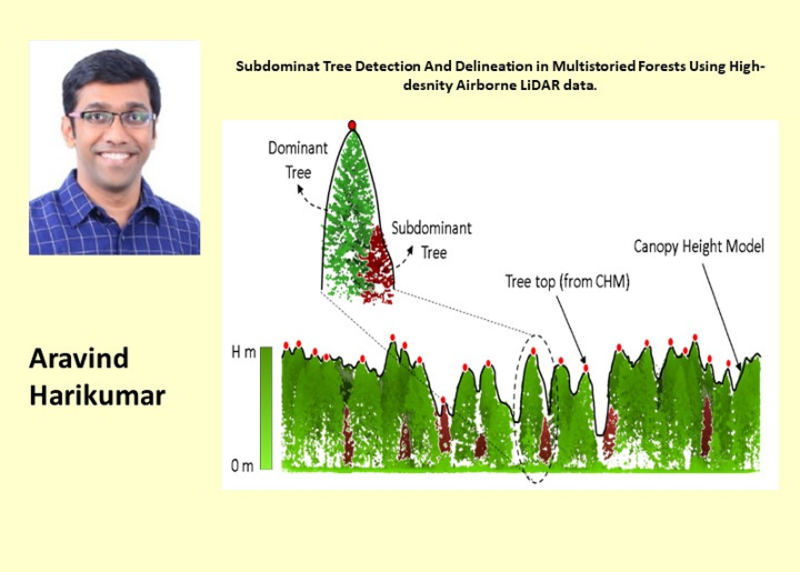 Subdominat Tree Detection And Delineation in Multistoried Forests using High-desnity Airborne LiDAR data. Airborne Light Detection and Ranging (LIDAR) remote sensing based forest inventory at the individual tree level is a valuable and effective alternative to manual inventory. Individual tree detection and delineation in multi-storied forests is challenging due to high tree proximity and forest structure complexity issues. 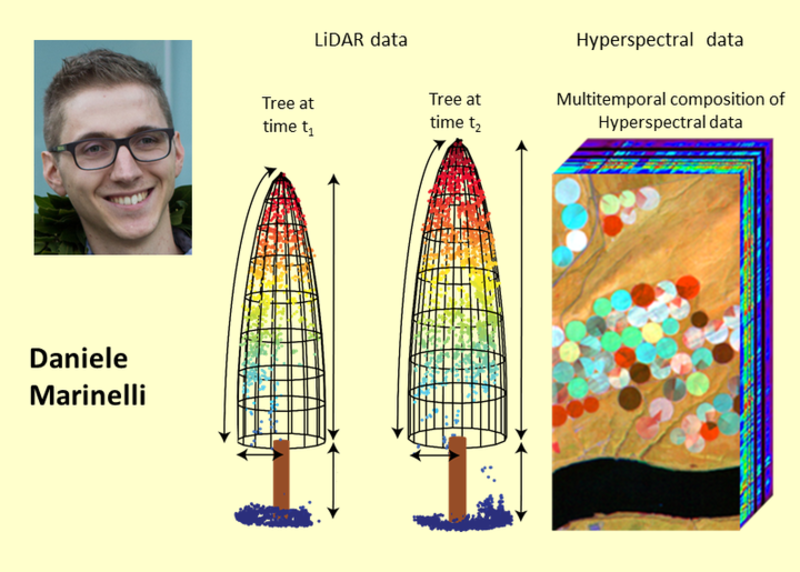 The research aims at detecting and delineating both dominant and subdominant tree crowns in a multi-stored forest from high density small foot-print multi-return airborne LiDAR data. 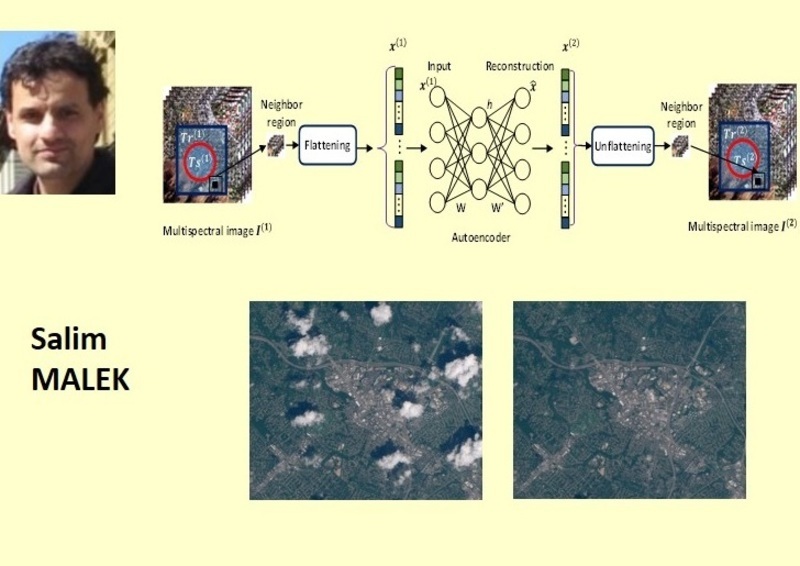 The purpose of this paper is to propose new methods to recover missing data in multispectral images due to the presence of clouds by relying on a formulation based on an autoencoder (AE) neural network. 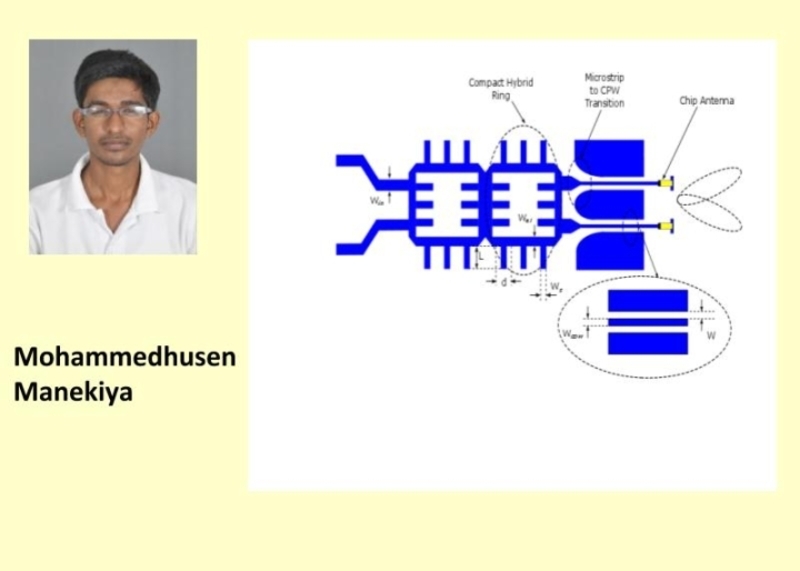 In this work, the design of a switched beam antenna array based on an optimized Butler matrix feeding network was done with a compact microstrip structure, and a set of microchip antennas working at 2.45 GHz. The obtained antenna feeding network was tuned and optimized by using suitable unsupervised techniques to obtain a compact and efficient structure. The microstrip antenna array prototype composed of four elements was fabricated and experimentally tested. An impedance matching and radiation properties have been experimentally verified with reference to the main beam steering capability. In the last years, there have been significant advancements in the remote sensing technology that resulted in new airborne and satellite systems that can acquire data with enhanced resolution. 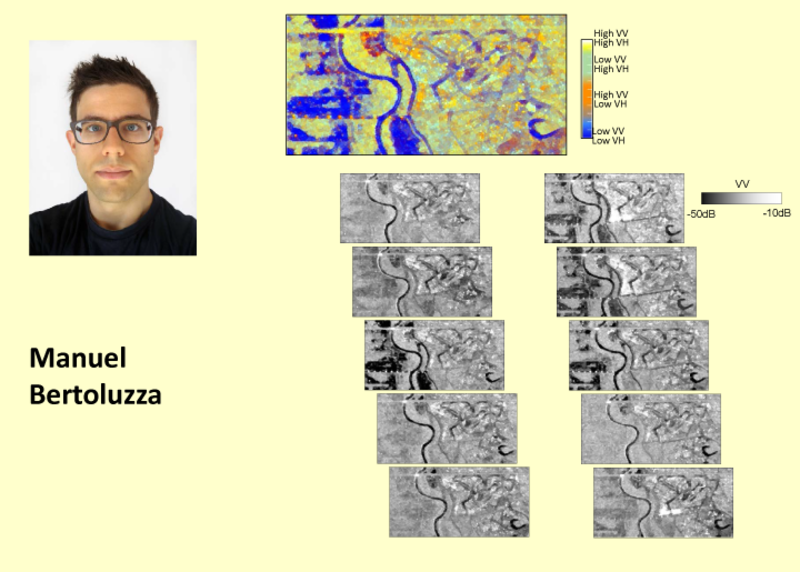 This is the case of high density LiDAR point clouds that accurately characterize the 3-D structure of the analyzed scene and of hyperspectral (HS) images that accurately represent the spectral characteristics of the land-covers. These kinds of data require the development of automatic techniques for information extraction. The objective of this research is the development of advanced methods that exploit the characteristics of LiDAR data and HS images to solve complex change detection problems. RIME is the radar sounder chosen for the JUICE mission. This mission includes a phase, the GCO-500, for which the data acquisition operations of RIME need to be accurately scheduled to comply with its scientific requirements while limiting the resources exploitation and considering the limitations of the observation capabilities. My research focuses on the development of an automatic method that optimizes the scheduling of acquisitions of RIME during the GCO-500, by choosing a suitable subset of observation opportunities. Because of its flexibility, the method could be also useful for other similar missions. Among the remote sensing systems, Synthetic Aperture Radar sensors show imaging capabilities independent on the weather and sunlight conditions. This makes them helpful for multi-temporal applications like Change Detection. 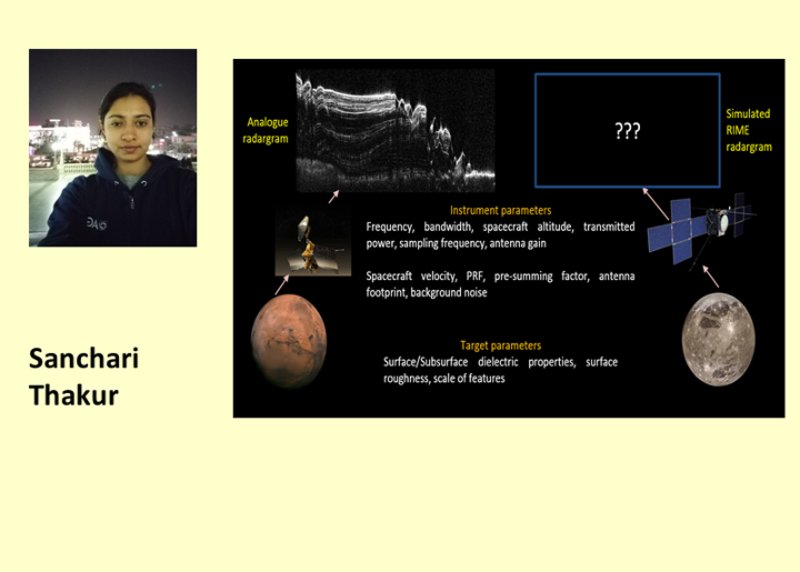 Depending on the spatial resolution (going down to the meter scale for Very High Resolution SAR sensors) and the polarimetric channels considered (more than one in the case of Polarimetric SAR sensors), different features are considered. These features may be exploited for the extraction of multiple change classes with different semantic meaning. Rapid developments in Earth Observation satellite missions have led to a significant growth of Remote Sensing (RS) image archives. 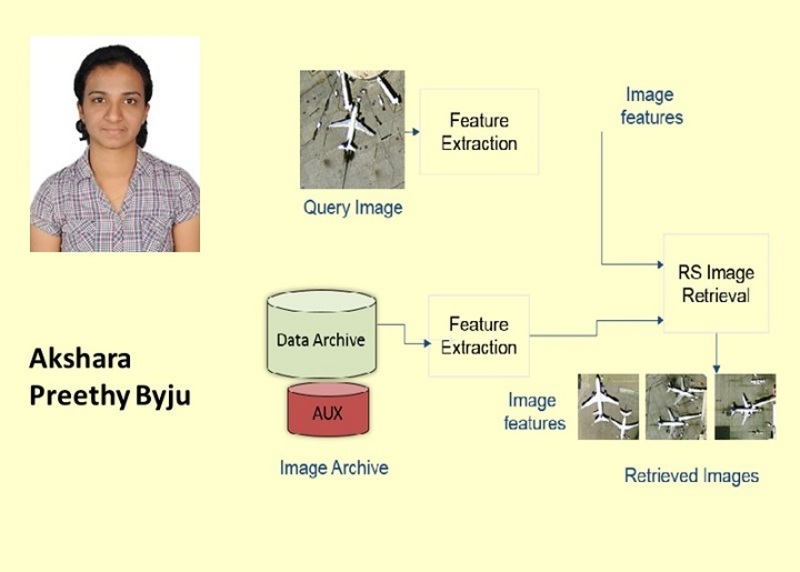 This has increased the interest of the RS community in Content Based Image Retrieval (CBIR). . Existing CBIR systems require decoding the compressed RS data to extract features for addressing the retrieval problems, which is impractical in large-scale archives. In this context, the objective of this thesis is the development of advanced methods that are capable of characterizing RS images directly from the compressed streams without (or partially) performing the decoding process. 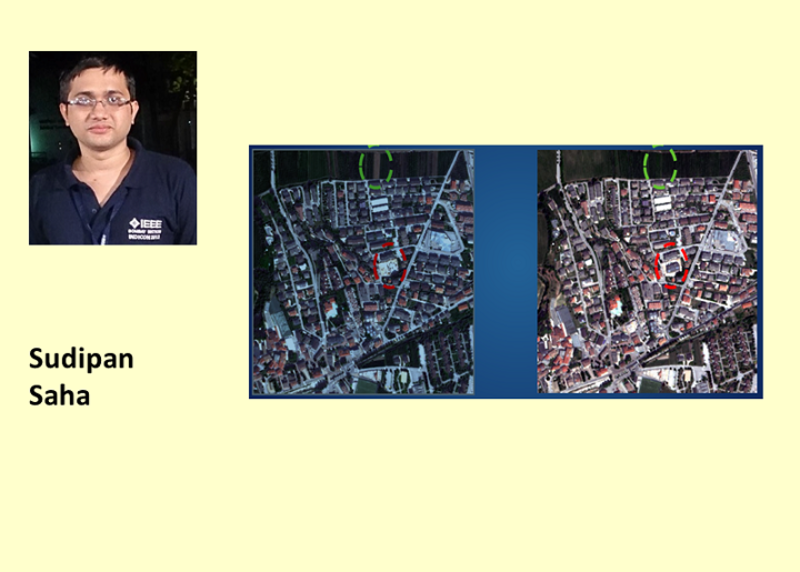 Change detection is an important application of remote sensing. Recent technological evolution has resulted in the availability of Very High spatial Resolution (VHR) multi-sensor images with high temporal resolution. VHR multi-temporal data processing is challenging due to high spatial correlation of pixels and the variability of sensors characteristics. To handle this complexity, deep learning based frameworks can be used that have achieved state-of-the-art performance in many image processing tasks recently. The goal of my research is to design unsupervised deep learning techniques for change detection from VHR multi-temporal multi-sensor images. Thanks to the revisit property of Earth observation satellites, a huge amount of multitemporal (MT) images are now available. These images allows us to monitor land surface changes in wide geographical areas according to long and short term observations. These images have characteristics such: i) very high spatial resolution or, ii) very high temporal and high spatial resolutions. Such images allow for a detailed geometrical and temporal analysis. Nevertheless, different factors lead to lack of enough images to perform MT analysis, and lack of regular and continuous time series to perform short term MT analysis. Solutions to these problems are proposed. 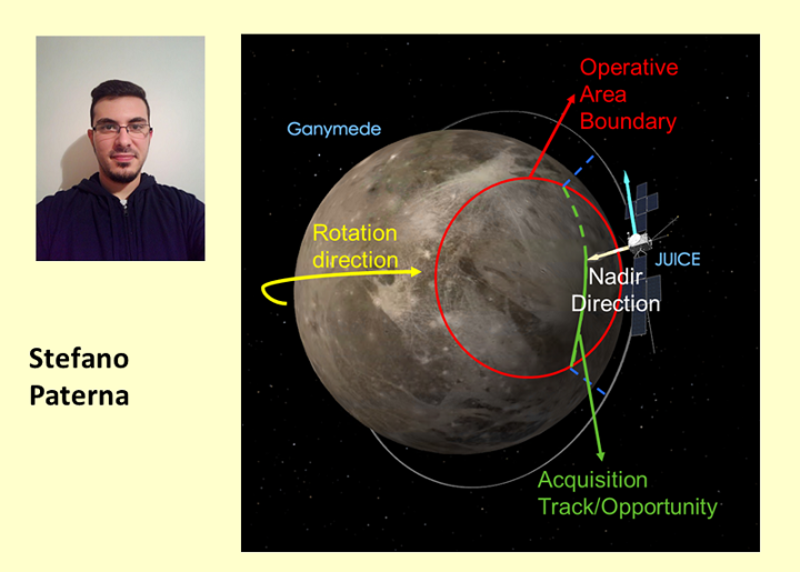 RIME, a radar sounder on-board the Jupiter Icy Moons Explorer, is aimed at studying the Jovian moons by profiling the subsurface up to a depth of 9 km. To develop a framework for understanding the RIME data, it is necessary to simulate the RIME radargrams. However, existing simulation techniques require models of the subsurface geology, which are yet unknown. 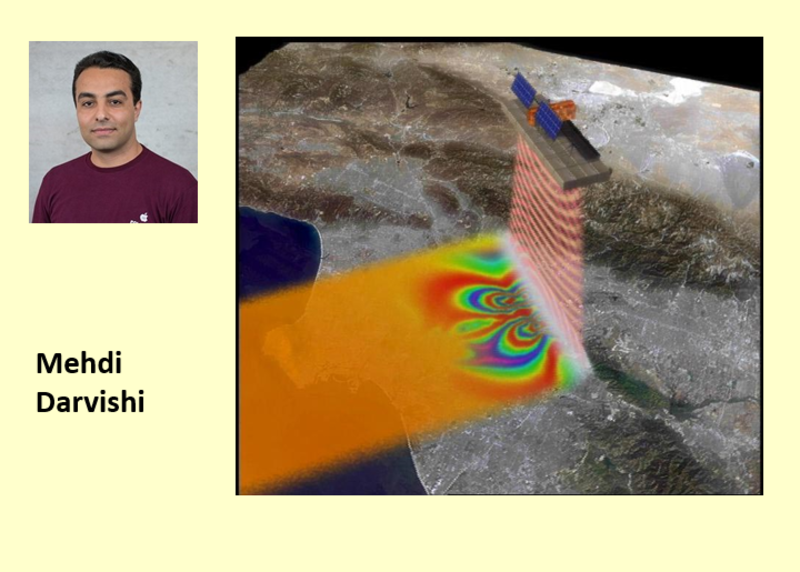 This project focuses on the development of simulation techniques for predicting RIME radargrams, and on the design of the processing chain required for data analysis and interpretation. A novel approach to simulation is proposed, which is based on geomorphological analogues of the RIME targets.